When I find something I love – I’m all in. This is one of those situations where I prefer to consider myself a fangirl, as opposed to thinking about any underlying obsessive tendencies…hmmm. Anyway, there are a couple of things that I love, love, LOVE and never hesitate to tell anyone and everyone all about them – the Outlander books (more on THOSE next week in #rebereads ❤️ ), the merits of a nice glass of Malbec when paired with dark chocolate, and Evernote. Today, we’re going to focus on Evernote. Evernote is quite simply an amazing way to digitize all those darn papers running around and breeding in dark corners, get yourself and your family organized and remember everything. And I mean EVERYTHING. It is an app (available for all smartphones/tablets), website & program you can load on your computer. It doesn’t care if you have a mix of Apple, Android, PC, whatever – all your data will be available across all those devices and platforms. It even makes archiving hand-written notes a snap by using Optical Character Recognition on your photos – simply take a photo of a page of notes and Evernote will scan for any text on the photo and make that searchable! This ability to span platforms, devices, and include analog data makes it an absolute workhorse and something I use DAILY. Additionally, you can share and collaborate within notebooks which has a ton of uses both for work teams and busy families! Evernote is basically a digital file cabinet with Notes (individual pieces of paper), residing inside of Notebooks (file folders), which can be organized into Notebook Stacks (the file drawer or cabinet). You can save text, photos, screen shots, voice memos, scan in documents, and clip info straight from the web and store any of that directly into a searchable note. You can set reminders on any individual note, which I use all the time. For example, I snap a picture of the invite my son brings home to a birthday party. Then I set the first reminder for when I need to RSVP, the next reminder is for when I need to buy the present and then the final one is for the day of the party so I can easily bring up the address. Ready to get started? 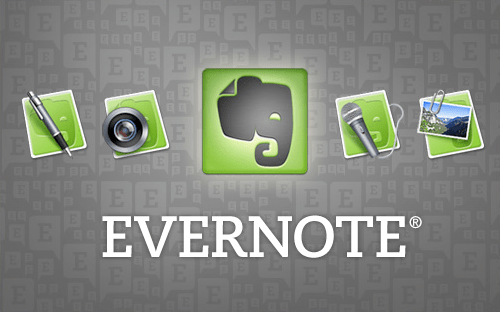 There are several different levels of membership for Evernote. 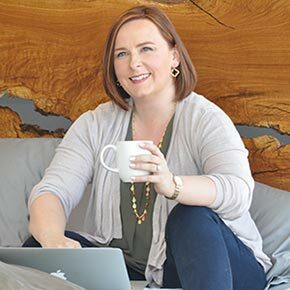 Sign up for an Evernote account for free here: https://goo.gl/WYwD49 but to REALLY unlock the power of Evernote, I promise it’s worth giving the Premium membership a try. You can also subscribe below to a mailing list for upcoming Evernote tips, tricks and tutorials. These are in development and will launch soon! As ALWAYS, I promise to NEVER sell your information and you can expect no more than one (chock full of useful info!) email per month. 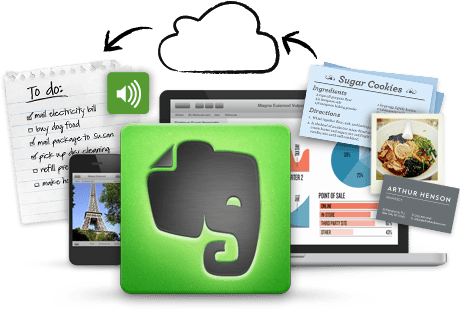 NB: while this post isn’t sponsored, I have included a referral link which allows you to try the Premium version of Evernote for free – and when you sign up I’ll get credit towards my own annual Premium membership.